For 20 years this rural accommodation offers a Mediterranean lifestyle, good food, music, peace, nature and silence. The rooms (8 doubles and one suite) are decorated in a special way inspired by different Mediterranean places. Each room has a private bathroom, heating, a/c, safe and TV. 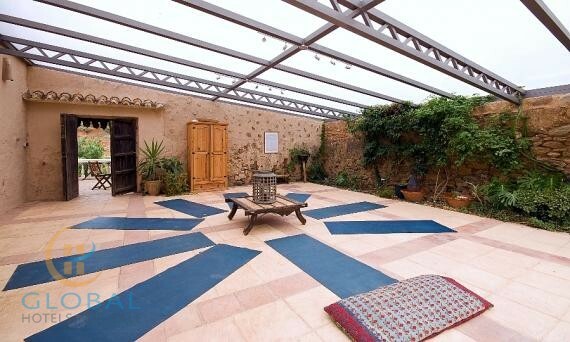 In addition there is a private area with 5 rooms, living room, library, kitchen and bathrooms. The restoration varies depending on the time of year: restaurant dining room or patio. There is also a dining room for private meetings.